Our Basic Intolerance Test has been created to identify the key most common food intolerances that affect us in everyday life. 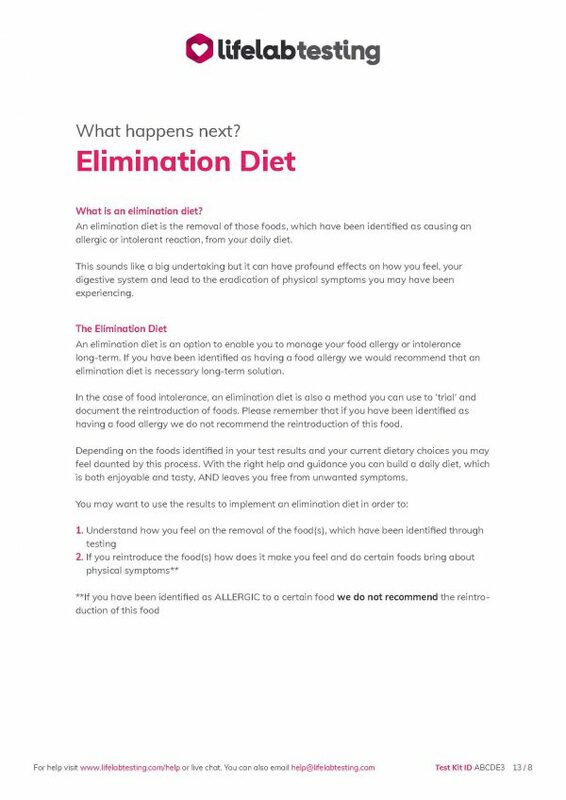 The blood analysis includes: Peanut, Egg White, Egg Yolk, Rice, Cod, Salmon, Chicken and Potato covering such intolerances as grains, eggs and meat. A full list of the 40 food items can be found in the details box further down. 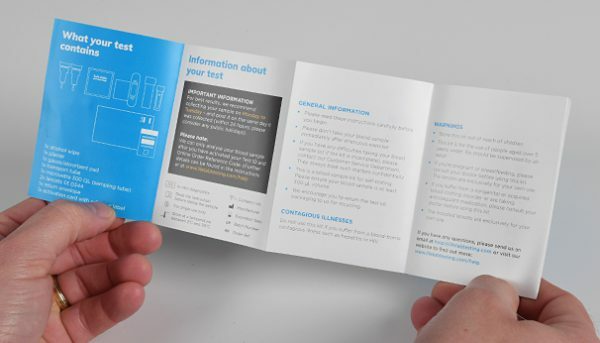 You’ll receive: A sample kit in the post, a prepaid return envelope, a summary of your results on an easy to understand dashboard, a downloadable full report and a comprehensive guide (please note: packaging may not be as pictured). Please note: This test does not test for allergies. Please note: This test does not test for lactose intolerance. 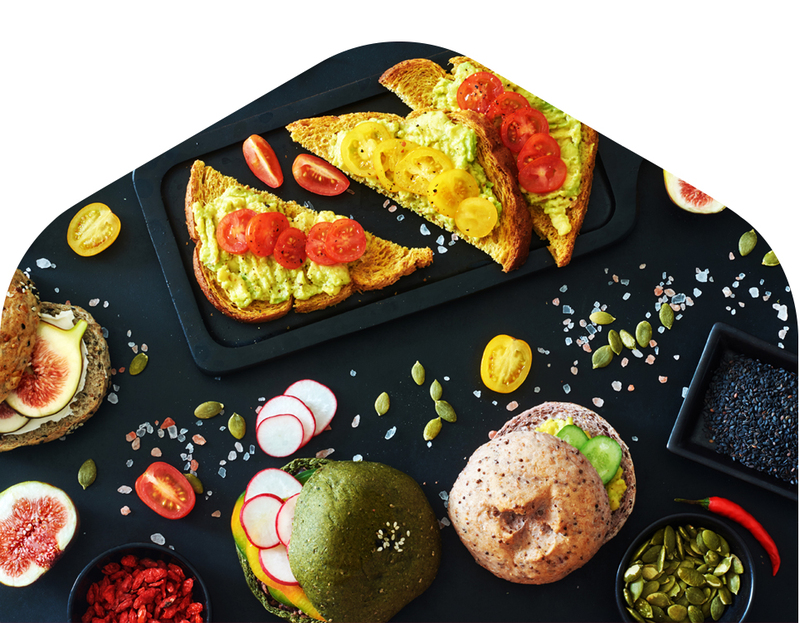 The Basic Intolerance Test analyses your blood sample against 40 of the most commonly intolerant foods including seafood, nuts, grains (including wheat) and a variety of dairy products like egg and milk. For the full list, please click the ‘Items We Test For’ tab. 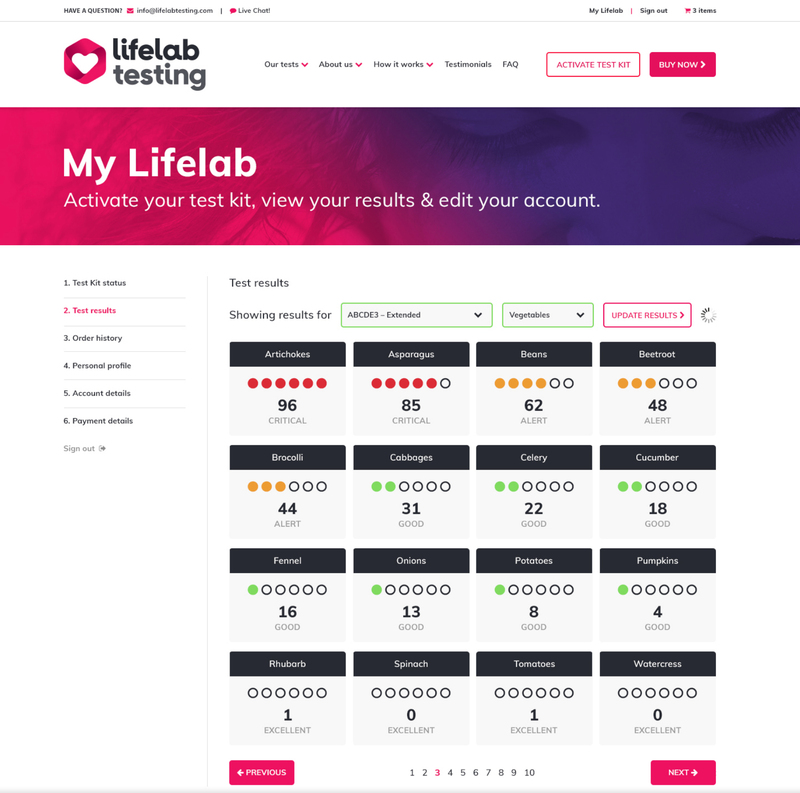 Lifelab Testing can identify which items may be causing you food intolerance symptoms like: stomach pain, heartburn, headaches or migraines, excess gas or bloating, nausea. Once purchased, you’ll be sent a testing kit, which includes all of the items needed to take a blood sample, detailed instructions, and link to an explainer video. This virtually pain-free method can be completed on yourself or a family member and is the most accurate way to understand your intolerances. The kit includes a freepost return envelope, which once received in our lab will be tested and processed. A detailed report is generated, which explains the level of your intolerances in an easy to understand traffic light system. The report also includes nutritionally approved dietary advice for you to make immediate improvements. 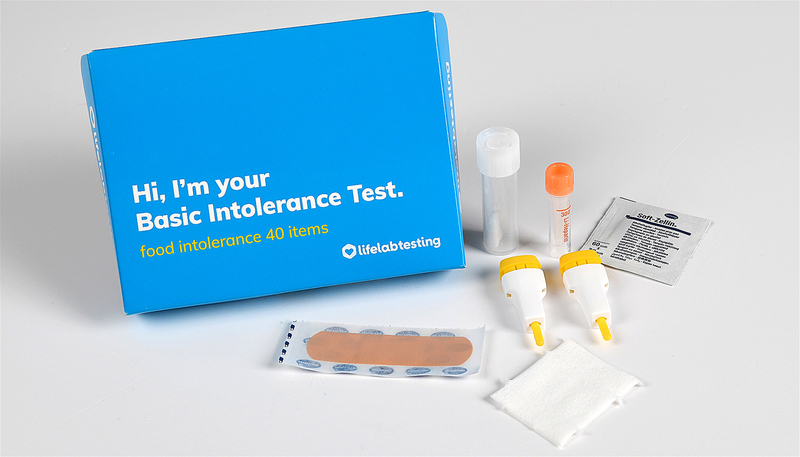 The Basic Intolerance Test identifies immune-mediated intolerances, which produce IgG4 antibodies. You can consult your results within 7 days of your sample being received in the lab. Should you have any questions, we have a trained customer service team who work 24-hours a day, Monday to Friday in order to respond to you immediately. Why take a Basic Intolerance Test? Intolerance testing allows you to understand whether physical symptoms you’ve been experiencing could be linked to the foods you are eating. Your results, available in just a few of days, give you the vital information you require to start making changes and feeling better. Lifelab testing have developed the Basic Intolerance Test following years of extensive research. Each test kit comes with full instructions on how to implement it as well as a video walkthrough so that you can collect your sample with ease on yourself or others. This painless procedure can be administered at home and is then sent to our testing laboratory which we will generate your bespoke results of your intolerances.